John became Senior Vice President of David Evans and Associates, Inc. (DEA) in 2014 when DEA merged with Hall & Foreman, Inc. (H&F). John also serves on the Board of Directors of DEA’s parent corporation, a $170 million/year firm based in Portland, Oregon. During his tenure as H&F CEO, the company made three major acquisitions, grew from two offices to six and increased annual revenue eightfold from 1996 to 2006. He then successfully guided the company’s turnaround after the recent recession when revenues fell 85% in three years. John helped create H&F’s company culture that stressed “Heroic Client Service”, while also becoming a perennial Best Firm to Work For. Throughout his career, John has maintained hands-on project involvement. This enables him to stay abreast of entitlement processes, agency regulations, design standards, project costs, and best practices in project management and communication. It has also been a key to developing and strengthening the firm’s relationship with many of its long-term clients. Under John’s leadership, his teams have planned, designed, and/or surveyed projects involving more than 100,000 homes; tens of millions of square feet of retail centers, office buildings, and industrial facilities; hundreds of miles of roadways and other infrastructure; and scores of school, college, and civic facilities throughout southern California and beyond. Los Angeles Stadium and Entertainment District at Hollywood Park, Inglewood: John has guided the HFI /DEA team from the outset of the project in 2006. This monumental $5 billion project covers 298 acres that once housed the Hollywood Park Race Track. The centerpiece is a 70,000-seat stadium that will be the home of NFL games for both Los Angeles teams. The stadium will feature sporting events including the Super Bowl and the Opening and Closing ceremonies of the 2028 Olympics, as well as major concerts and other entertainment year-round. The project also includes a 6,000-seat performing arts venue, 1.7 million square feet of office and retail space, a hotel, 2500 residences, and 25 acres of public parks, open space, pedestrian walkways and bicycle paths. Village of Heritage, Fontana: Mr. Hogan was the project manager for the team that performed the design engineering and construction surveying of this transformational 1,600-acre, 4,000-home master planned community, which also included two elementary schools, a middle school, and $1 billion in infrastructure improvements. This project was selected by CELSOC for its Grand Award of Excellence. Covenant Hills - Ladera Ranch, South Orange County: Mr. Hogan was project director for the planning, and engineering of this 1,000-lot gated community located within the award winning community of Ladera Ranch. HFI’s services included plans of works for sewer, water, and reclaimed water, design of regional drainage facility L05, hillside grading design involving over 15 million cubic yards of cut and fill, widening of Antonio Parkway, and preparation of improvement plans for the internal streets and underground infrastructure. HFI’s team was instrumental in developing the sediment control plans, water quality plans, an urban flow filtration system, and other state-of-the-art storm water quality features. The project won multiple awards from ASCE and ACEC. Centennial (Tejon Ranch), Los Angeles County: The conceptual engineering and feasibility study for this master plan project was performed under Mr. Hogan’s direction. Centennial is a proposed new town in Los Angeles County on the Tejon Ranch Company property. The development team has been navigating the regulatory process since 2001. The Project evolved into a 19,000-unit master plan with commercial, employment, institutional, and park/open space land uses on approximately 12,000 acres. Services include master planning of major infrastructure, grading studies, cost estimates and overall project coordination. The project was approved by the County Supervisors in December 2018. WESCO Coal Gasification Plant, Farmington, N.M.: Slightly more than one year into his career, SoCal Gas promoted to John to staff engineer assigned to the design team of a $1B coal gasification plant on 800 acres in the Navajo Nation in New Mexico. In this role, he provided oversight of the consultant team designing the site work, a 20-mile long water transmission line, and 25 miles of access roadways. From John Hogan: The achievements attributed to me would not have been possible but for the collective efforts of many. To my family, colleagues, advisors, clients, and engineering peers, including my many ASCE friends, you have my heartfelt gratitude for helping me to achieve a fulfilling career. Thank you! John C. Hogan has enjoyed a rewarding 45-year career in civil engineering. He is currently Senior Vice President of David Evans and Associates, Inc. (DEA), a position he was named to in 2014 when DEA merged with Hall & Foreman, Inc. (H&F). John had been President and CEO of H&F since 1996. He joined H&F in 1987 as a project manager. He became a principal/shareholder in 1993, and President/CEO in 1996. He served over 20 years on H&F’s Board of Directors. John now serves on the Board of Directors of DEA’s parent corporation, a $170 million/year firm based in Portland, Oregon. Prior to joining H&F, John held positions of increasing responsibility with the Southern California Gas Company and AC Martin Partners. Throughout his career, John has maintained a hands-on project involvement. He has led the planning, engineering and surveying for projects involving more than 100,000 homes; tens of millions of square feet of retail centers, office buildings, and industrial facilities; hundreds of miles of roadways and other infrastructure; and scores of school, college, and civic facilities throughout southern California and beyond. Signature projects include Village of Heritage in Fontana, Ladera Ranch in south OC, and the new NFL stadium at Hollywood Park in Inglewood. John has a BSCE from USC and a MSCE from CSULB. He is a registered Civil Engineer and a Life Member of ASCE. He has been active in ASCE since his college days. 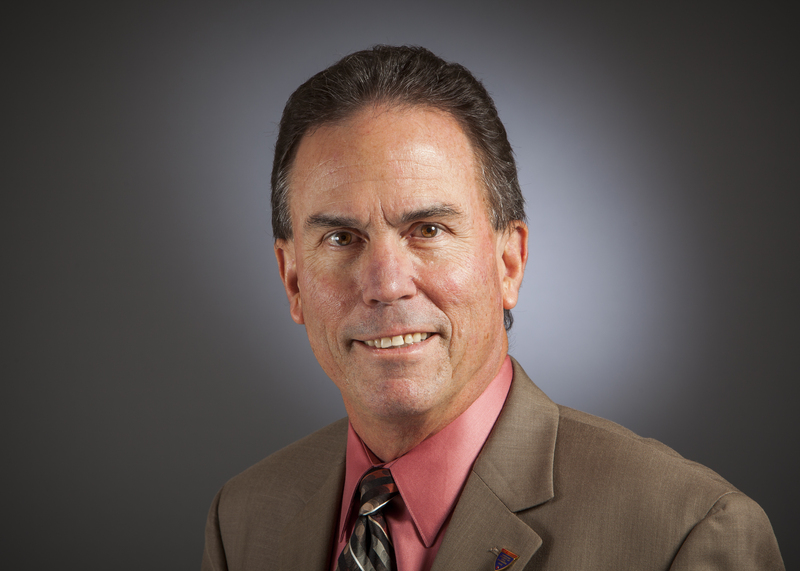 Over the years, he has held top leadership positions at the YMF, OC Branch, LA Section, and Region 9 levels of ASCE. He has also served on the boards for a variety of industry, non-profit, community, and academic organizations. In 2018, he was named Lifetime Director of the OC Chapter of the Building Industry Association. He served two terms as chair of the YMCA of Mission Viejo. John is currently co-chair of ASCE’s 2019 California Infrastructure Report Card which will be released in May 2019. John has received multiple personal and project-related awards from ASCE, ACEC, OCEC, and APWA. His ASCE honors include the 2011 Engineer of the Year from the OC Branch and the 2012 Section Officer of the Year from Region 9. John resides in Laguna Hills. He and his wife Becky have seven children and ten grandchildren. He enjoys playing and watching outdoor sports, coaching youth athletic teams, travel, and hiking. He also spends an increasing amount of time each year at the family’s vacation cabin in central Oregon.